Before shifting hip hop with his debut album Get Rich Or Die Trying, 50 Cent was a business man in these streets. The rapper went from a street hustler to a multi-million dollar man by using his platform in music to launch several successful businesses. Like any hustler, he looks at how he could monetize his efforts and with smart investments, 50 typically comes out on top. His album Animal Ambition is actually a testament to his entrepreneurial prowess. 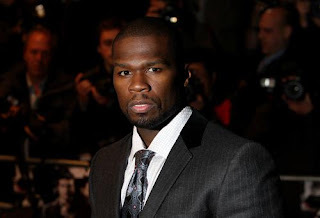 50 Cent made millions off Animal Ambition after selling the album for bitcoins, TMZ reports. 50 Cent was the first artist to ever accept Bitcoin as a form of payment for his work and this was back in 2014. According to their sources, the rapper was selling his album for Bitcoin which was valued around $662 per Bitcoin. He'd accept fractions of Bitcoins which ultimately amounted to a whole lot. 50 reportedly received over 700 Bitcoins in sales from Animal Ambition which at the time, was the equivalent of $400K. The rapper has left the Bitcoins sitting in his account since then. However, with the recent influx in Bitcoins, which are now worth anywhere between $10K to $12K each, 50 has raked in anywhere between $7 million to $8.5 million. It was definitely a great foreshadow of the crytocurrency's worth and another example of 50's genius as a business man. Maybe he'll end up using the same approach for his Street King Immortal album. The rapper recently said the project is due out some point this year after being pushed back on several occasions. Hopefully, he keeps his word and we finally get a new album from Fif.